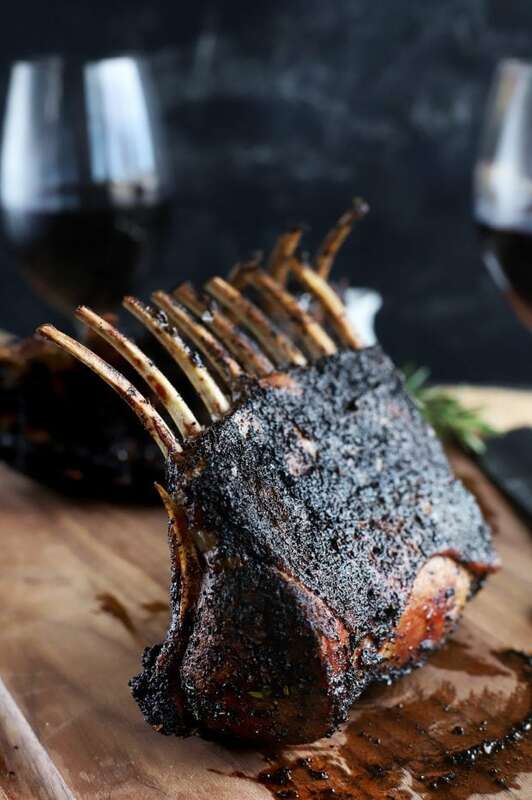 Chipotle Coffee Crusted Rack of Lamb is a smoky, savory stunner of an entree that’s doused in an easy red wine sauce. The crust locks in all the juiciness of the meat, and you’ll be shocked just how easy it is to create. 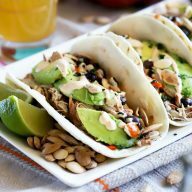 It makes for an amazing Spring dinner, especially for Easter! Please note that some of the links below are affiliate links. If purchases are made via these links, I will receive a small commission. 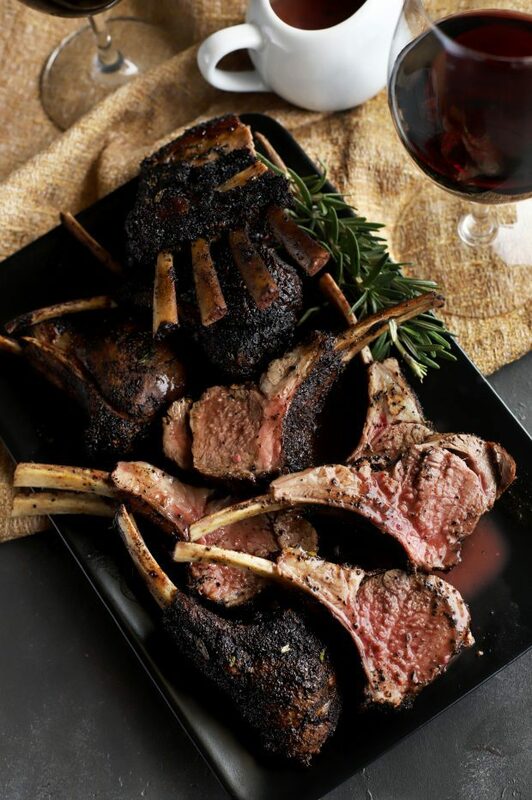 Rack of lamb is an indulgence that I love to give into at least once a year, if not twice. 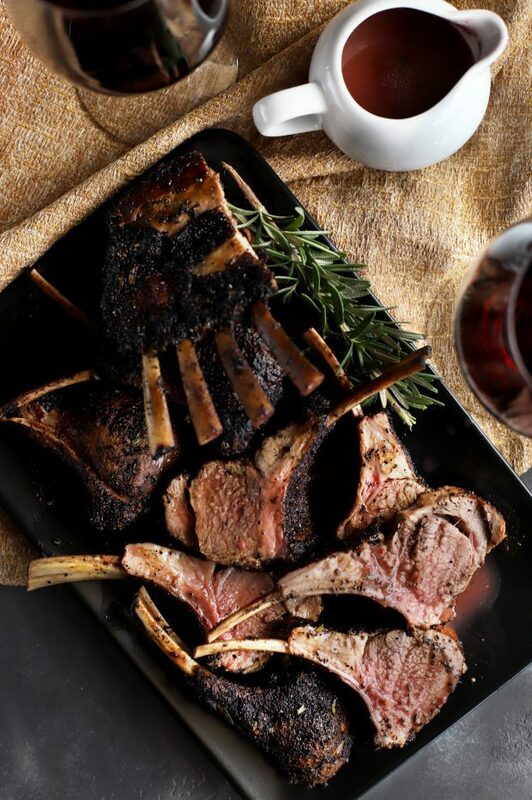 I remember the first time I made rack of lamb was years ago when my blog was just a wee nugget of an idea. There was a lot of Iron Chef America episodes going on in the background of my work-from-home days at that time. I kept seeing hearing about rack of lamb this and rack of lamb that. Obviously, I felt the need to accept the challenge the universe was giving me and make it for myself. I threw together a simple savory herb crust with what I had in the kitchen. WOWZA, it was pure perfection. It just so happens it was the star dish of a wedding I catered up in the mountains on Christmas Eve one year later. Trust me when I say, it went over oh-so well. I still get messages today about people trying it at Christmas or Easter. 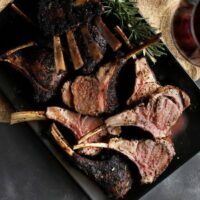 This year, I wanted to shake things up with a different crust for my racks of lamb. I’ve been super into chipotle spices lately, so I reached for chipotle chili powder, coffee grounds, and fresh herbs for this rub. It makes for a smoky and savory combination that really brings something extra to the party. Then you get the red wine sauce for a little added richness and tang. 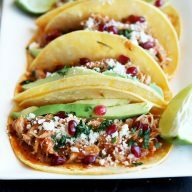 All together, it’s a masterpiece of meaty goodness that you will not be able to stop eating. 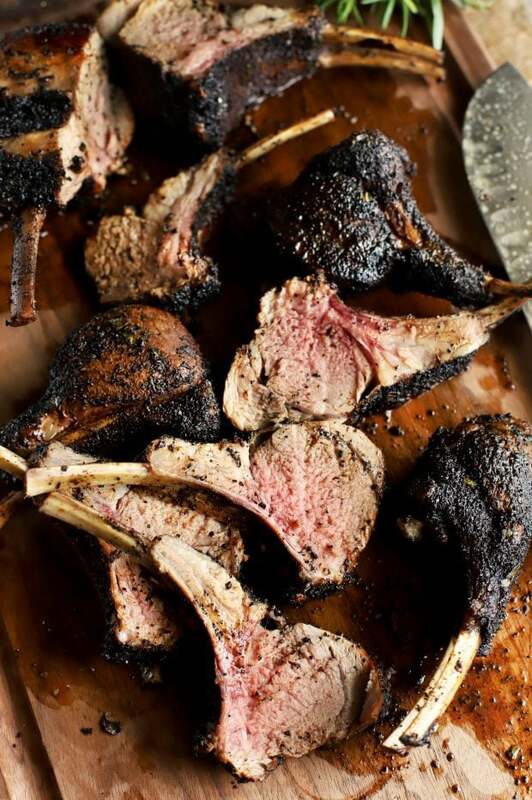 Not to mention it is SUPER easy – all you have to do is keep an eye on the internal temperature of the racks, removing them at just the right point. 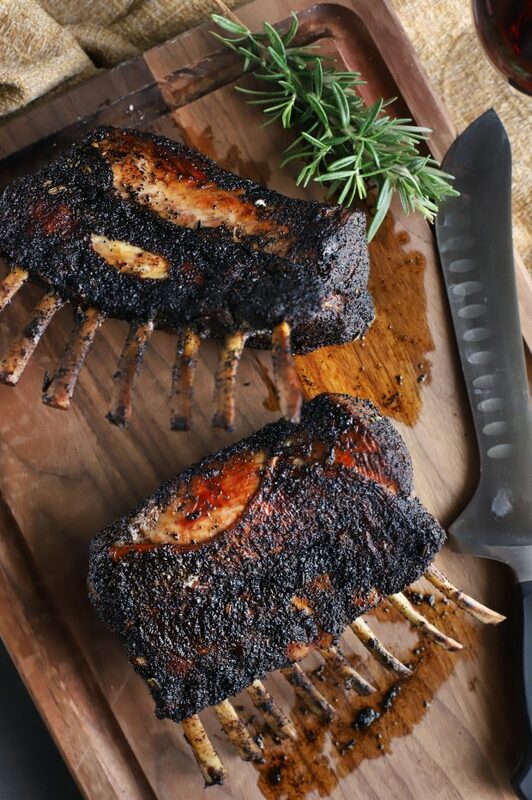 Just don’t forget to let the racks rest for at least 5 to 10 minutes before slicing! You want all those juices to stay in there and keep the meat extra melt-in-your-mouth tasty. 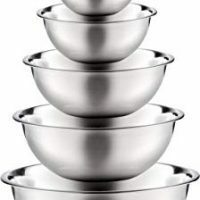 To make the rub, I use one of these stackable Stainless Steel Mixing Bowls. They are super affordable, yet really durable. 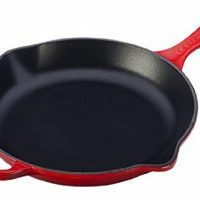 Whenever it comes to using a cast iron skillet, you’ll see me reaching for this Le Creuset Signature Iron Handle Skillet. This one is my fave color – red, duh – but they come in all the colors you could think of! 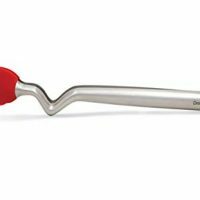 My favorite set of tongs are these Dreamfarm Clongs 12-Inch Click-Lock Sit Up Tongs. They sit up on the counter when you set them down. So you don’t have to worry about making a mess! 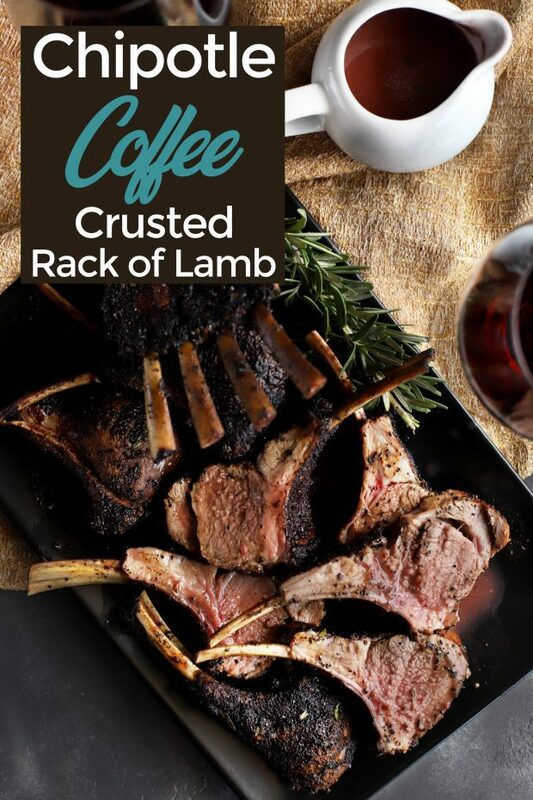 Pin this Chipotle Coffee Crusted Rack of Lamb recipe for later! 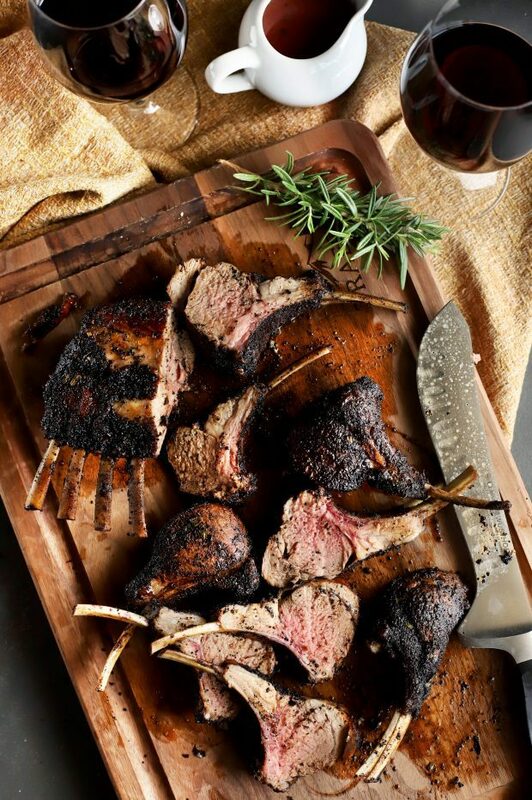 A chipotle coffee mixture is rubbed all over Frenched racks of lamb, then roasted to perfection. The red wine sauce brings it all together for a punch of savory goodness. In a small bowl, stir together coffee grounds, minced thyme, minced rosemary, chipotle chili powder, pepper, and kosher salt until combined. Rub both racks evenly with the rub. Heat oil vegetable oil in a large cast iron skillet over medium-high heat. Sear on both sides, about 1 minute per side. 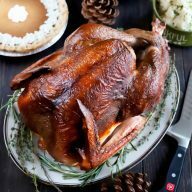 Place skillet in the oven and roast until internal temperature is 145˚F. This should take about 20 to 25 minutes. 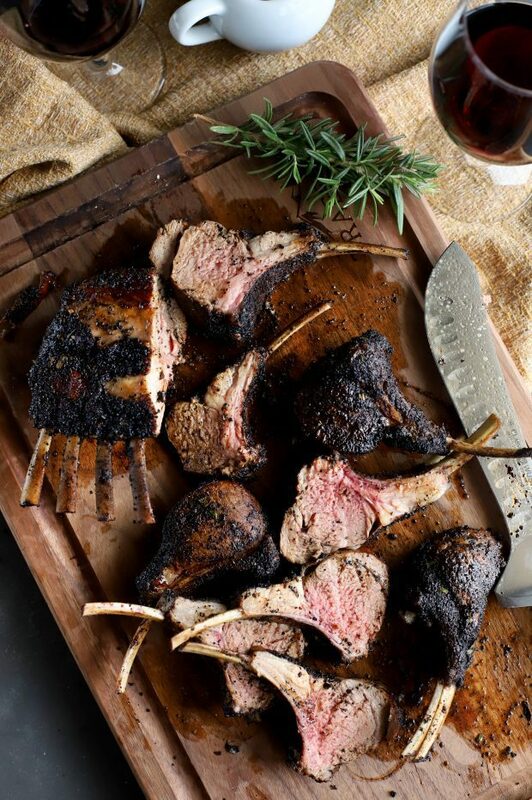 Let lamb rest about 5 to 10 minutes before slicing. 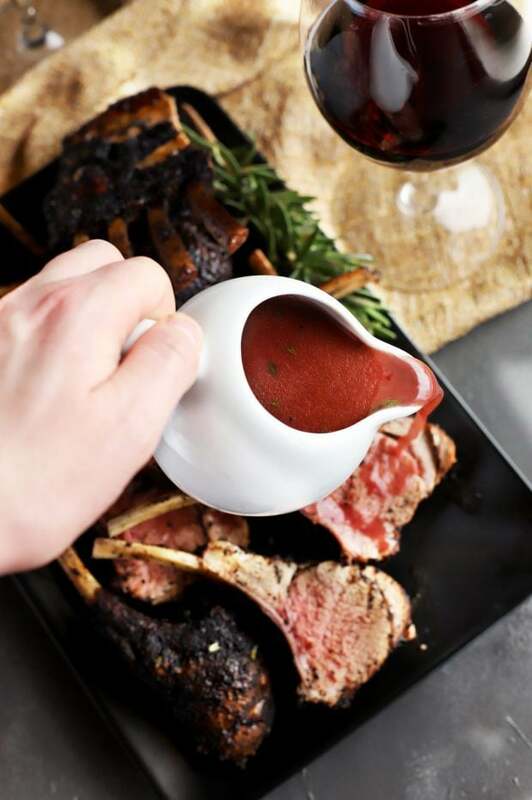 While the lamb is roasting, make the red wine sauce. In a medium saucepan, heat the olive oil over medium-high heat. Once hot, add garlic and brown slightly, about 1 minutes. Stir in cornstarch until garlic is coated. Pour in wine and beef stock, whisking to combine. Allow mixture to cook and reduce by half, about 5 to 7 minutes. Stir in butter and rosemary. Once butter has melted, season with salt and pepper to taste. Keep warm over low heat. 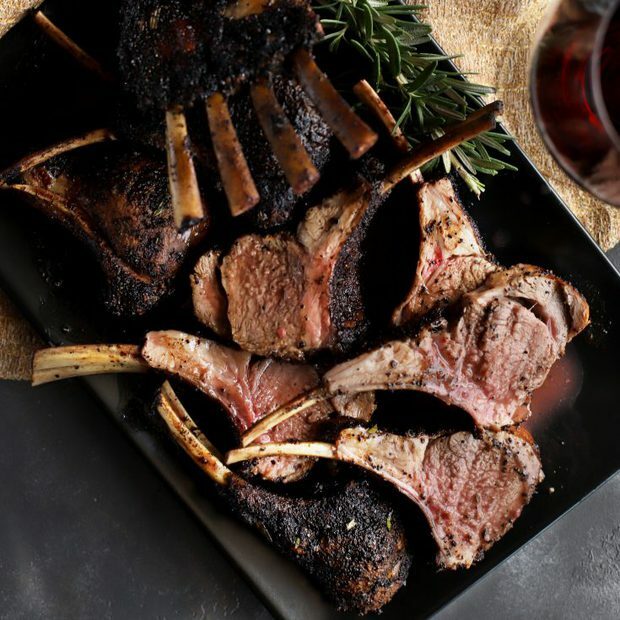 Serve lamb with warm sauce.